At night all cats are grey? Not with us. 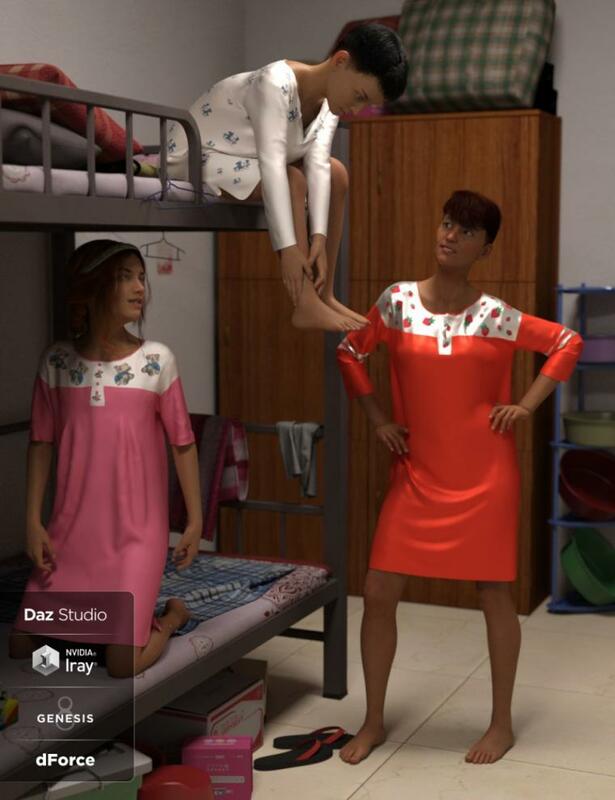 The nightgown is available in the latest fashion colors and with patterns for children and adults. No one must hide at night with this clothing. The nightgown is available with and without buttons. With a button stripe, the collar remains closed in the dForce simulation. The buttons are available as separate assets and can be provided with their own textures. This was designed specifically for use with dForce.